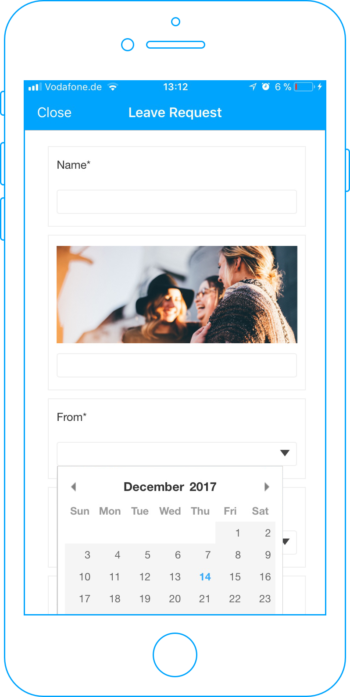 Capture and process your employees’ holiday submissions quickly and efficiently with digital leave request forms. This simplifies processes and helps your employees with holiday planning. Send employees a confirmation e-mail and track all leave requests within an Excel sheet. Learn more about forms in Employee Survey. How does it look for users? Employees can submit their leave request with a form in the app. They can choose the time span and send the form to HR.